where cards are used through your mobile device. Turn your card "on" and "off." Stick to a budget by setting a threshold amount on your card. Set up where exactly your card can be used by either a specific location or merchant type. Such as department store, gas station, grocery store, etc. See your aggregate monthly spending total - this will display the cumulative spending amount on your card for the current month. Watch the video to the right for detailed instructions on how this app works! To learn even more about CardSecure, visit cardvalet.com. 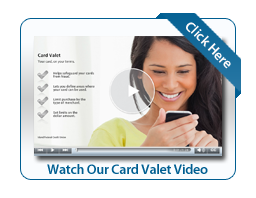 CardValet is a registered trademark of Fiserv, Inc. or its affiliates. SHOP AND EARN POINTS. IT'S THAT EASY. The uChoose Rewards® Program allows you to earn points every time you use your Island Debit Mastercard® & Island Credit Mastercard®. Shop at participating retailers and earn additional points. Points can be redeemed at uchooserewards.com. When is a point earned? A point is earned for every $2 spent. There's no cost. 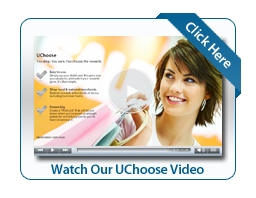 Membership in uChoose Rewards is absolutely FREE for cardholders, so start shopping and earning today! You can access the history of your point activity on the Point Details page once you have registered at uchooserewards.com or click on the number below "Available Points" on the left hand side on the uChoose Rewards site once logged in. For more Frequently Asked Questions, click here, or visit uchooserewards.com to ask one.